In Fine Jewelry > Emerald Jewelry > Show & Tell. 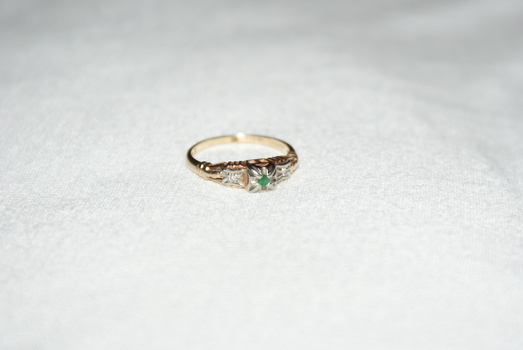 This is a pretty little ring, possibly dating back to the early part of the last century. It is well made and is marked “Bluebird” and 14K 18k. I believe the one of them marks refers to the white gold and the other to the yellow gold. The ring is also marked with tree numbers starting with a 5, but I have a hard time reading the other numbers. This leads me to believe that it might be European. How interesting, themuse. 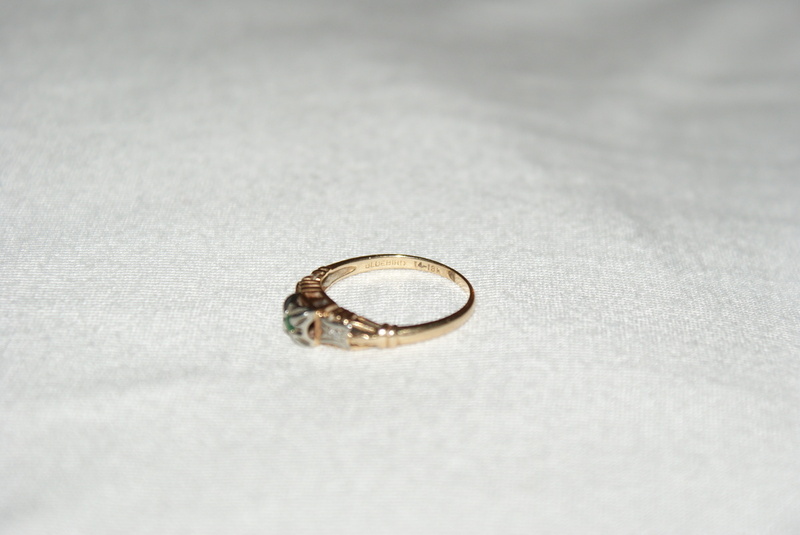 I guess the style of this ring is rather common and many makers did similar items. If this was ment to be an engagement ring, I feel kind of bad that I ended up with it. Sometimes I wonder about the stories behind the objects I buy. That number you mentioned could be 585. It's another number for 14k gold.